With Valentines Day coming up, we want to surround ourselves with love. Apart from inviting family and friends over or celebrating with your partner, you can also create a home that is packed with beautiful objects and inspiring decor items, helping you to get in the mood! 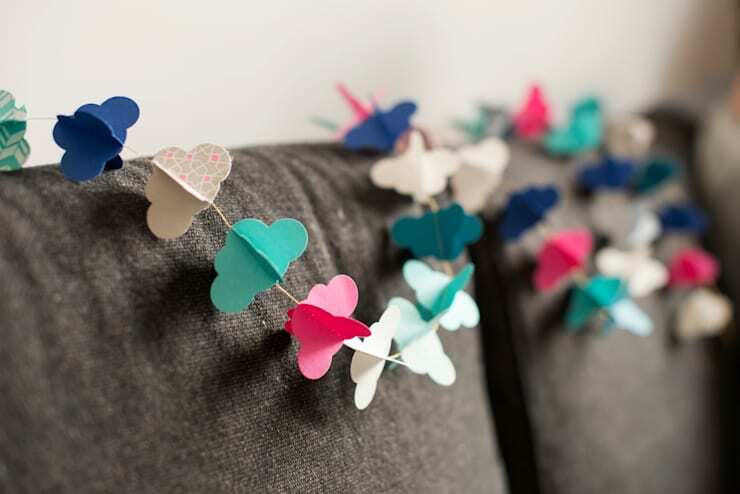 This is why today on homify, we have 7 valentines DIY projects that will light a spark in you. Not only are the end results fantastic, but you can have a lot of fun in the process. There is nothing better than focusing on a creative DIY project to get your mind off work stress or other worries. These projects are also all very easy and simple, which means you have plenty of time to do them all if you like. Your home will be ready for Valentines Day with a few simple additions! Or save them to do with your loved one during a rainy weekend. Heart-shaped cookies or chocolates can be a real treat in the month of love – and it's a chance to play around in the kitchen. Invest in some heart-shaped molds or cookie-cutters and get baking! You can design all sorts of treats. 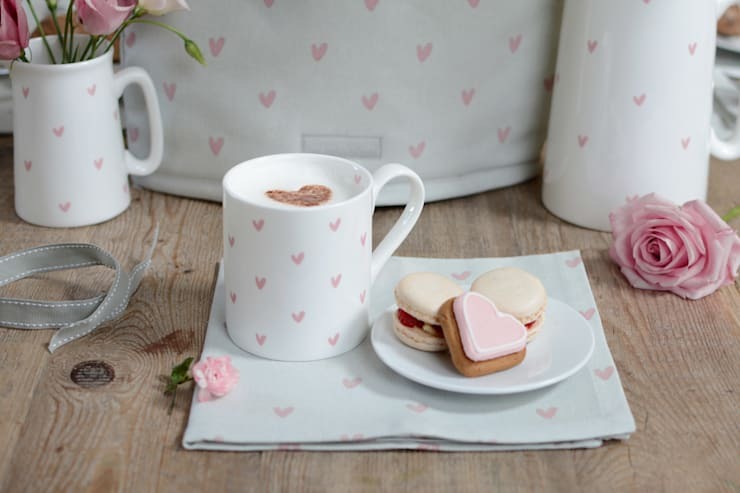 This design also shows us how easy it is to invest in a few heart-themed textiles, crockery and cutlery too, adding to the effect! When you're enjoying a glass of wine or a cup of coffee with your loved one, a few heart-shaped coasters could help set the mood. They're also really easy to make! Once you have the material, you can get to work creating patterns or images with pens, crayons or even paint. Cut your coaster out in a heart-shape and there you have it. You'll also save your surfaces from stains! Design professionals The London Candle Company know just how to create ambiance – candles of course! So why not make your own? 4. Place a candle wick in the middle of the jar. You can buy them at any craft store! 8. 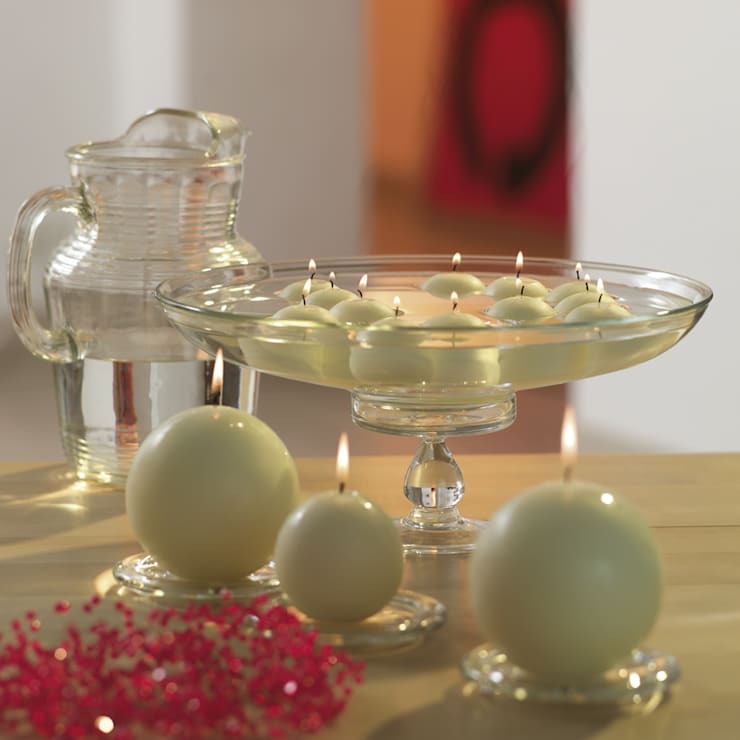 Light your candles and enjoy the ambiance! 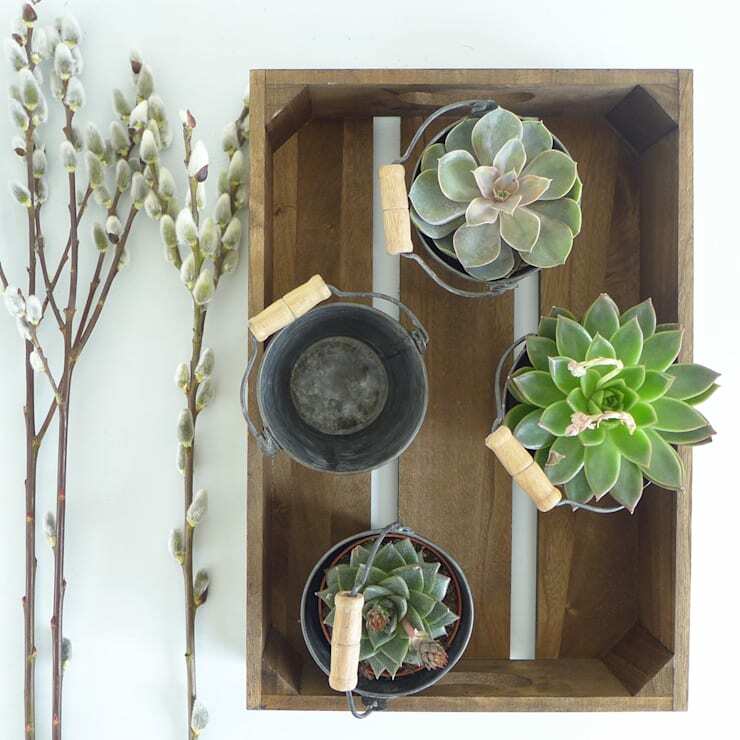 Grow your love in a very modern and eco-friendly way by decorating your home with little plants or flowers. It will also fill your home with a beautiful aroma. You can also use paper or origami to create your own colourful or romantic decor in your home. Use soft colours like red, pink and white to really introduce the Valentines theme. Artwork is a beautiful and elegant way to introduce a theme, a colour or a touch of personality to a home. As we can see in this design, an XO canvas really brings a sophisticated touch to the room, enhancing the entire interior design. Why not be your own artist today? Get creative with the paint brush and go for a similar design. 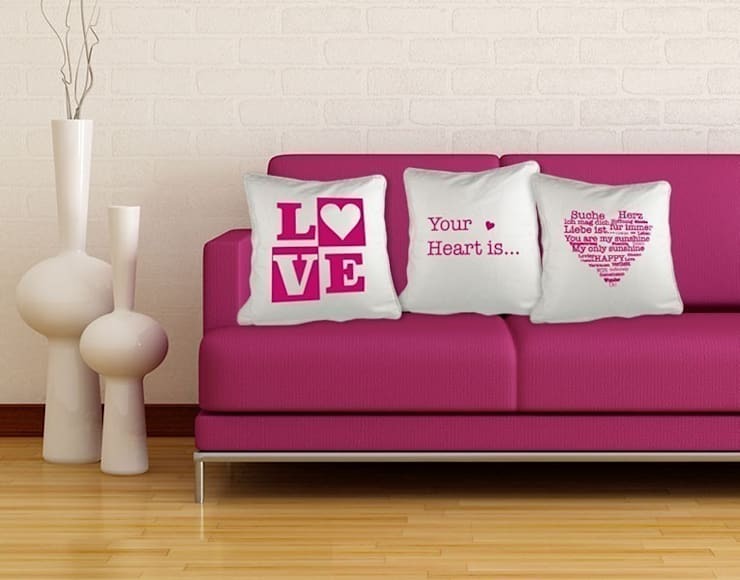 Use your textiles, cushions or curtains to introduce messages of love into your home. Who couldn't feel happy and loved looking at these gorgeous cushions? If you have enjoyed this article, you'll love this one too: 14 fantastic DIY ideas for your garden. Which DIY projects will you be doing?